This is a love letter to keeping your skin and pores *extra* clean — because glow doesn't happen overnight! 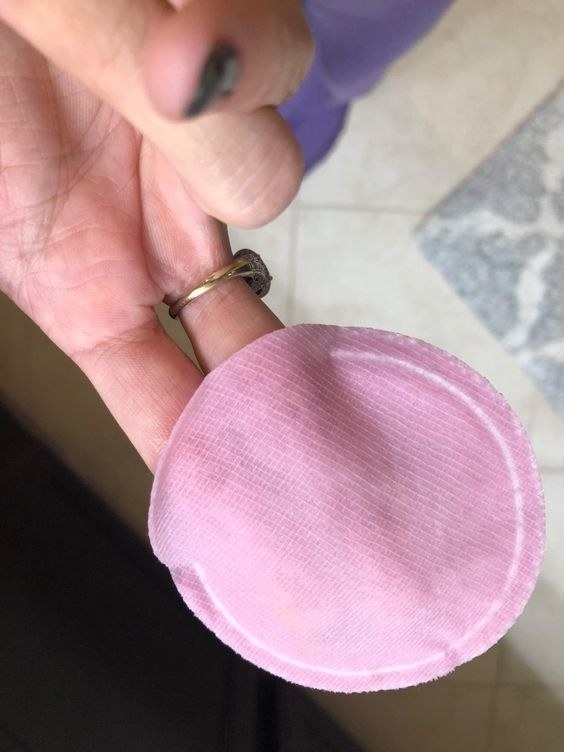 Exfoliating's not typically the most fun part of your skincare routine, but it gives your skin the deep-clean it regularly needs, and Neogen Bio-Peel Gentle Gauze Peeling Pads are the solution for a quick, simple, and **gentle** exfoliation (sensitive skin types, don't fret!) that gets rid of dead skin cells and debris in your pores for a smooth, glowing face you simply can't fake. They're available in three varieties: Wine, Lemon, and Green Tea — but we'll get into even more details later! How so? All of these pads have *both* physical (their crisscrossed design coupled with your sweeping motions) and chemical (lactic and glycolic acids) forms of exfoliation — tl;dr you get brighter, softer skin that doesn't strip your face of moisture. That signature K-beauty dewiness? Yeah, that's what you'll get. There are three layers in each pad: a threaded layer to remove unwanted dead skin cells and debris, a cushiony middle layer that holds onto the formula, and a quilted layer for another round of cleanup. They're so, so easy to use. You stick your fingers into the pocket, go in with the rougher, threaded side first, and gently swipe all around your (dry!) face and neck in circular motions. Then you flip it over to the softer, quilted side to further hydrate and pick up any bits left over from exfoliating. The recommended usage is twice a week, or as needed! I usually just use circular motions for the softer side as well, but I like the demonstrator's patting technique, which I usually do with my essence. And since these pads are 💦super soaked💦, don't forget to use the extra formula to smooth over your rough elbows, knees, back ('cause bacne is real! ), etc. But let's get into the ✨ glowing customer reviews ✨ for each pad type — there's a whopping 1k combined reviews on these bbs and average 4.3 rating on Amazon, so you know people of all skin types love 'em. The Bio-Peel Gauze Peeling Wine really does contain red wine extract, which is naturally fermented and contacts AHAs that are key for proper exfoliation. And! Red wine is also a strong antioxidant that contains resveratrol (which is found on the skin of red grapes and helps them fight off bacteria). "It's on 'holy grail' status in my evening skincare routine. It smells like a grape Jolly Rancher, which may not be for everyone (especially if you're sensitive to scents), but I love it! I have combination skin — oily T-zone and dry cheeks — that has hyperpigmentation, large pores around the nose/cheek/temple areas, and acne scars from picking at my face. Also, my skin was looking very dull and congested from winter. So after some careful online research, I decided to try this product because it combines both a manual and chemical exfoliation process using both resveratrol and lactic acid. I noticed visible results — softer and smoother skin — after the first use and became hooked. In addition to lactic and glycolic acids, the Bio-Peel Gauze Peeling Lemon packs extra brightening ingredients like lemon, orange, and papaya extracts — which are rich in Vitamin C — to help fade discoloration and acne scars while unclogging pores. Last but not least, the Bio-Peel Gauze Peeling Green Tea is your go-to soother, calming inflammation and redness, as it gives your skin an all-over refresh. And, as many reviewers state, a tiny hack you can do is cut your pads in half (with disinfected scissors, plz!) to maximize their use. Whatcha waiting for? Get them from Amazon for $15.99+ each: available in Lemon, Wine, and Green Tea (30 pads each).